August 2, 2016 -- Should a dental practice offer dental stem cell storage to its patients? This is a question that I found easy to answer with a resounding "yes." My background might help explain the reasoning behind my answer. For almost 30 years, I have enjoyed owning and working in a busy dental practice. My involvement in dental stem cell technology started 10 years ago, when my oldest daughter was about to lose her fist primary tooth. Since my wife and I missed the opportunity to store our children's cord blood, I thought stem cells were something I should take a further look into. 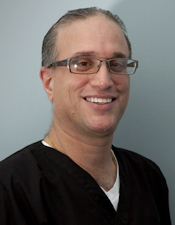 Nicholas Perrotta, DMD. Image courtesy of Provia Labs. At the time, articles were being written by researchers about the presence of stem cells being found in the pulpal tissue of teeth. There were not any labs that were fully engaged in the storage technology at that time. I found a lab that was just entering the storage business and had my daughter's tooth processed with them. After storing the pulpal tissue, I became fully engaged in learning about the science behind dental stem cell technology. I began researching everything I could about this breakthrough. What I learned about dental stem cells is that they were discovered in the year 2000 by a researcher at the National Institutes of Health (NIH). In 2009, the first use of dental stem cells in clinical application was done by doctors in Italy. They used dental stem cells in the first human trial to treat a mandibular defect. In the successful trial, the patient's own dental stem cells were used. In 2010, I joined Provia Labs as an advisor and also began to lecture around the U.S. on this new technology. Currently, there are hundreds, if not thousands, of exciting research projects around the world involving the successes of dental stem cells. An important distinction should be noted about the stem cells found in cord blood versus those found in pulpal tissue. Stem cells found in cord blood are hematopoietic, while those found in pupal tissue are mesenchymal. Hematopoietic stem cells are used typically for treatment of blood cancers, while mesenchymal stem cells have the potential to repair tissues, including heart, cartilage, corneal, osseous, and neural tissues. Mesenchymal stem cells in the pulpal tissue are multipotent. Thus, these cells have the ability to differentiate into different cell types, such as osteocytes, myocardiocytes, chondrocytes, and neurons. These cells have the potential to treat diseases such as heart disease, multiple sclerosis, Parkinson's, diabetes, and more. Regenerative medicine using stem cells is not only a viable source of treatment today, but also the future of medicine. Storing your own pulpal tissue can help ensure your future health as these cells become usable for various clinical applications in the future. You never know when a personal tragedy can hit. Ironically, stem cells recently came to my rescue. In late 2014, I was unexpectedly diagnosed with leukemia. I was fortunate to receive an allogeneic bone marrow stem cell transplant that saved my life. I received my stem cells from a donor, thousands of miles away, who matched my genetic makeup. When the hospital looked for a match, I was very lucky, because out of a pool of 60 million potential donors, I had two acceptable matches. Although I count my blessings, not being able to use my own stem cells has had its drawbacks. I suffer from graft-versus-host disease, which affects many organs in my body. Having the opportunity to store your own stem cells allows you to avoid using a public bank with only the hope of finding an acceptable match. It also allows the luxury of avoiding possible complications, including graft-versus-host disease. I know firsthand that stem cell collection is very easy to set up at the dental office. It does not get in the way of the office's busy schedule. The service is set up easily by first speaking to a representative from a dental stem cell collection lab. They will arrange a meeting with the dental office to cover the protocol regarding dental stem cell collection and how to set up the service. Although it is not easy to talk to patients about storing stem cells when therapies are still in the research stage, the good news is that there has been a huge increase over the last 10 years in patient awareness of the benefits of storing dental stem cells. A decade ago, patients were only aware of the controversial embryonic stem cells. Thanks to the strides dental stem cell research has made, talk about adult stem cell therapy, which is the category that pulpal stem cells fit in, is becoming familiar to patients. They realize the opportunities stem cells offer and the exciting new frontier on which we are embarking. In my practice, we market the service by a dedicated page on our website and in office literature. Right now, this service isn't reimbursed by insurance; it is paid for by the patient. The dentist collects the tooth, which is then packaged by the dental assistant. Then the package is scheduled for a courier pickup that was prearranged by the lab. Patients will want to know which teeth are the best to store. The answer is that any deciduous tooth and third molars are best, because these teeth are rich in quantity and quality of stem cells. As healthcare professionals, we owe our patients the awareness of any new technology that is available to them. In addition, it shows that our offices are keeping up with advances in both medical and dental technology. At my practice, we have received patient referrals from appreciative, existing patients who speak to their friends and relatives about the opportunity to store dental stem cells. We can also obtain new patients online as we promote this storage service to patients. With all of these positive reasons, a dental practice should offer dental stem cell storage to its patients.